At the beginning of the current console generation, Test Drive Unlimited was able to make its mark through an online experience that could only later be trumped in the car driving genre by Burnout Paradise. 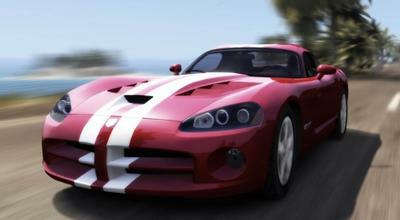 Now, developer Eden Games is making another run for your money with Test Drive Unlimited 2. Will it be a worthy installment in the Test Drive series? 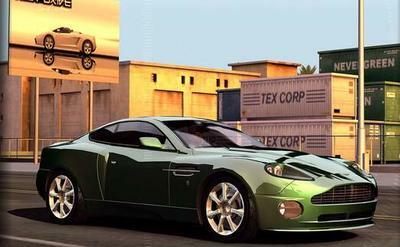 With thousands of miles of road to explore in a meticulously recreated version of the Mediterranean island of Ibiza, Test Drive Unlimited 2's environment draws from its predecessor in a few ways, including environmental themes, gameplay style, and online elements, yet improves in multiple ways to create a satisfying sequel that is able to differentiate itself from many other racing games on the market. Test Drive Unlimited 2's story is more of a premise than an emotional, character-driven roller coaster. Thrusting you into the shoes of a down-on-his-luck valet fired for sleeping on the job, an incredibly wealthy woman hires you to be her chauffeur, her wager being if you can successfully get her to a studio taping, she'll enter you in a luxurious racing competition that takes place across the tropical island of Ibiza. To the surprise of nobody, you enter races, win them, and move up the ranks to eventually join the pros. Acting as a backdrop for this MMO-racing hybrid, the story also introduces a facet of Test Drive Unlimited 2 that makes it unique – human interaction. Half of the gameplay within the title is based on purchasing homes and cars through a model that can be dressed up like the Barbie doll that you never had. The problem is that these character models are presented atrociously, with unnatural animations and horrific voice acting. Contrary to the terrible character models, the Mediterranean island of Ibiza is lucious and well exhibited. Based off of satellite images of the tropical paradise, the island goes through numerous environmental variations decided by weather and a new 24 hour cycle that keeps gameplay fresh and interesting. While it might not be on par with current racing games such as Need for Speed: Hot Pursuit, the lighting and environmental textures are rendered well enough that they are not an eyesore. 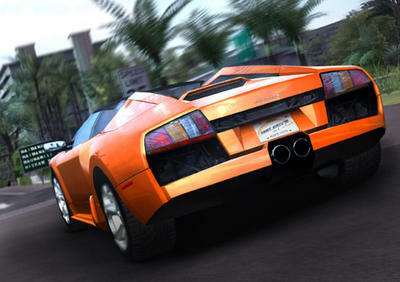 However, Test Drive Unlimited 2 has been prone to innumerable graphical hiccups. Whether it be the improper rendering of textures, popping, awkward animations, or stale movement, these technical errors do pull you out of the experience enough that they do detract from it. In terms of utilizing your roadway, the game does not provide players with the proper incentive to drive to remote corners of Ibiza (and later Hawaii) only to do absolutely nothing of use. Bridging the gap between the successful massively multiplayer online and racing genres, Test Drive Unlimited 2's hybrid play style makes the experience unique. With a plethora of game modes and number of ways you can interact with other players, you level up in a way that gauges your progression in four separate categories: Competition, Discovery, Collection and Social. Leveling up these aspects of your character enhances how you will perform against other players around the world, earning you new content like avatar customization and car upgrades. When it comes to connecting with the other players in the universe, the game is riddled with server errors that yank you out of the experience. It leaves you lonely and wanting more in an ecosystem in which you are supposed to feel surrounded and satisfied. When judging a driving game, one must actually look at how effectively the title handles driving, and unfortunately Test Drive Unlimited 2 fails in this respect. Sudden and jerky, the counter-intuitive controls dictate the overarching play style, which contributes to a negative experience. It feels like you are driving around in a child's toy as opposed to the sizable, tangible machine that a sports car should be. While Test Drive Unlimited 2 seems like it would be great on paper, it is riddled with bugs and glitches that detract from the overall experience. While I really and truly wanted to love the game, it was difficult to with the number of hiccups and awkward presentation. The list of licensed vehicles and varied environments on which to drive as well as the sheer number of collectibles will be enough to keep you coming back, it does not stand out as a significant title of this console generation, and thus I would award the title a mediocre 6.7 out of 10. 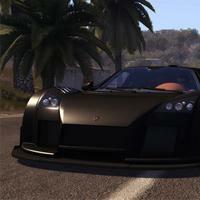 For those of you who have had the opportunity to play Test Drive Unlimited 2, has it lived up to expectations? Does it provide players with a unique, differentiating experience that defines this generation of console gaming or should it fall to the wayside? Sound off in the comments below.